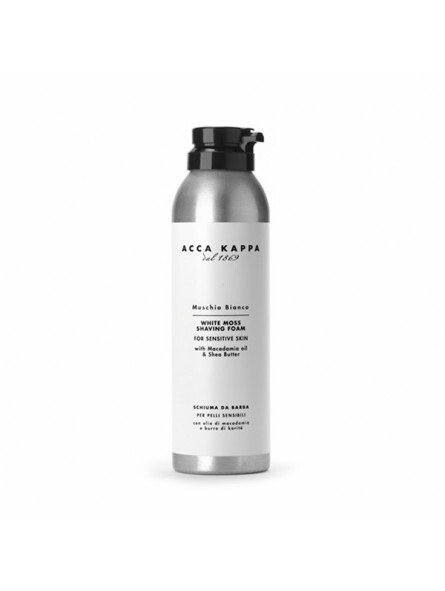 Acca Kappa White Moss Shaving Foam for Sensitive Skin 200ml. 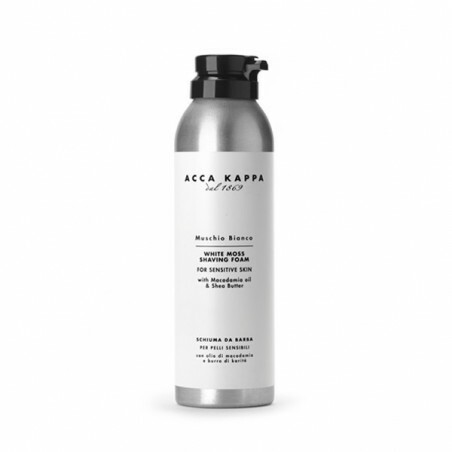 This is a shaving foam that has been created with Macadamia oil and Shea butter. It has softening and moisturising properties that make shaving easier and more comfortable. The distinguishing feature of this rich shaving foam is that it contains delicate surfactants of plant origin. It is particularly suitable for delicate and sensitive skins. It contains olive oil, macadamia oil, shea butter and cocoa butter that all allow for a pleasurable shave.